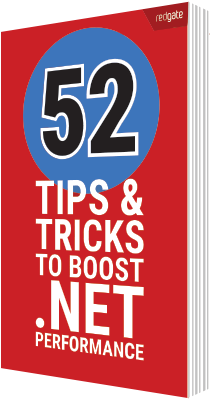 Back in July, Redgate asked .NET developers and experts the world over for their .NET performance optimization tips. We wanted to know what works, what doesn’t, and how to avoid, find, and fix application performance problems. ASP.NET MVC 6 comes with a basic dependency injection container that will allow you to implement constructor and property dependency injection into your controller classes. This may be enough for smaller ASP.NET MVC 6 applications while other applications can continue to use Autofac, Ninject, StructureMap, Unity, etc. Mads is a terrific person so I thought I would stop in to bug him about C#. For the first 15-20 minutes he mentions some of the C# 6 features you should be already using. For the balance of the video he talks about where C# is headed and some of the thinking behind some new features. Obviously it is early, but in this new era of openness (the compiler has literally been open source'd) it is refreshing to actually get inside the fortress to see strategy. The best part is you can add your voice to the process! I have seen a ton of videos on the magic of the Universal Windows Platform (UWP) and how we can now write the same code to target a multitude of devices. Let's face it though, I'm a dev, I want to see how it's done (and as an extension that it is indeed possible). Queuing off of some feedback from a video on XAML improvements, we decided to make a real application that simultaneously targets the client, the phone, and a Raspberry PI 2 with the same codebase. It turns out that it isn't all that magical at all.